Hint: The incredible, inedible part of the egg is not all there. The egg shells are gone! Does it work? 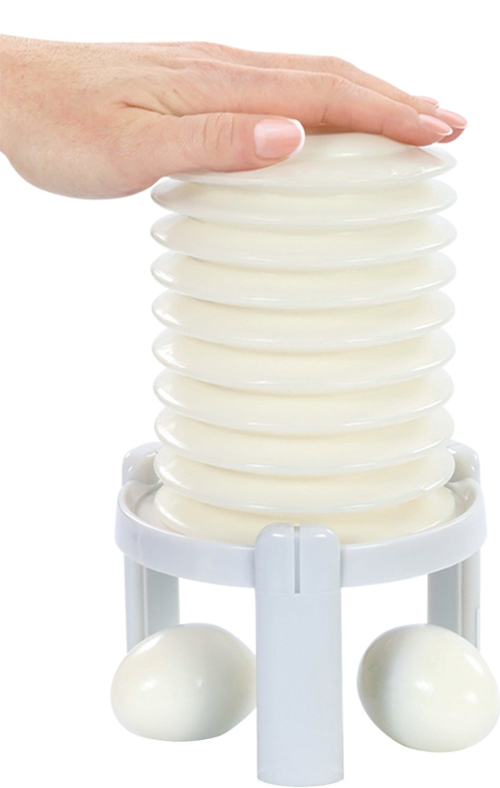 It’ll only cost you $19.99 (and a dozen eggs) to find out. 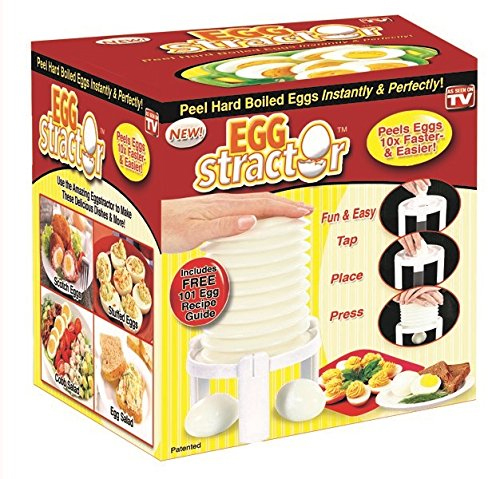 Eggstractor Egg Peeler is an egg-peeling kitchen gadget that promises peeled eggs after a tap, place and press. And if it doesn’t work? Well then you’re boiling it wrong of course.